One of my favorite oils to use for my skincare routine is tea tree oil. Its antiseptic and antimicrobial properties help clear skin and also has aromatherapy benefits too! Some facial cleansers that I have include tea tree oil and I have seen it work well. There are many other uses w/ Tea Tree Oil, including helping with dry skin, sunburns and scars. Through BrandBacker, I've been using the Apothecary Extracts 100% Pure Australian Tea Tree Oil and many recipes included to make my own DIY solutions- think facial cleansers, spot remover and masks! One of my go-to recipes is the air mist filled with essential oils to help calm and provide clarity (at least it does for me). The recipe includes lavender, clary sage, and lemon essential oils so it smells amazing. All of the recipes is a mixture of something with the tea tree oil- never use oil by itself. 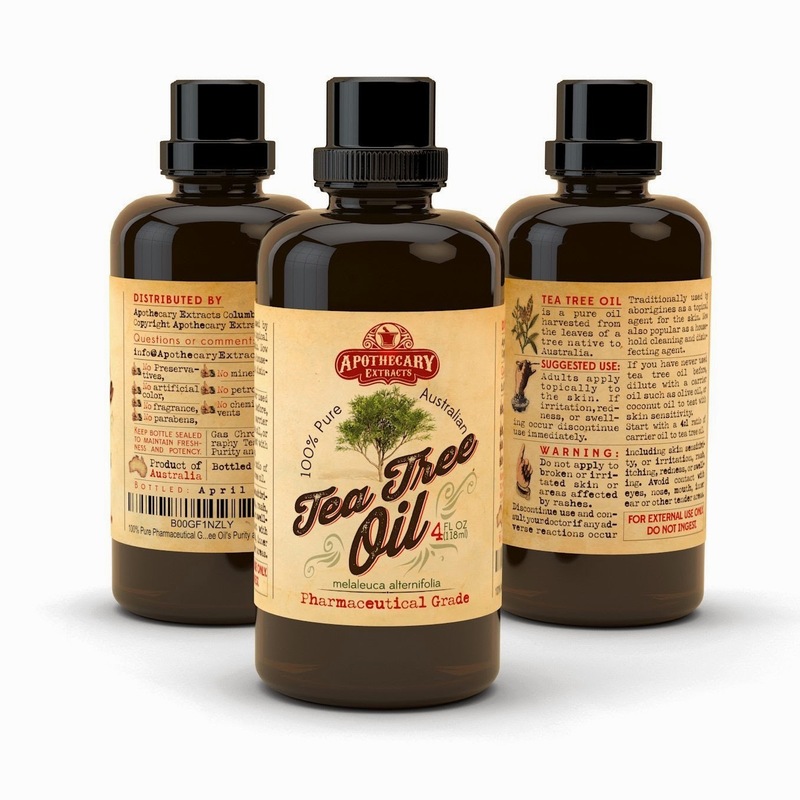 Interested in getting this tea tree oil bottle PLUS an e-book w/ 50+ recipes? Check it out on amazon.com to get your bottle today! This is really informative review. I find this oil worthy of a try. Thanks for this post.